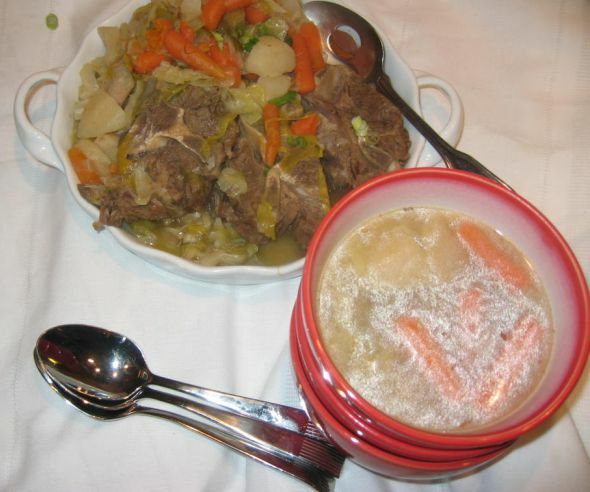 This unpretentious, bony stew of boiled meats and vegetables is the perfect comfort food! 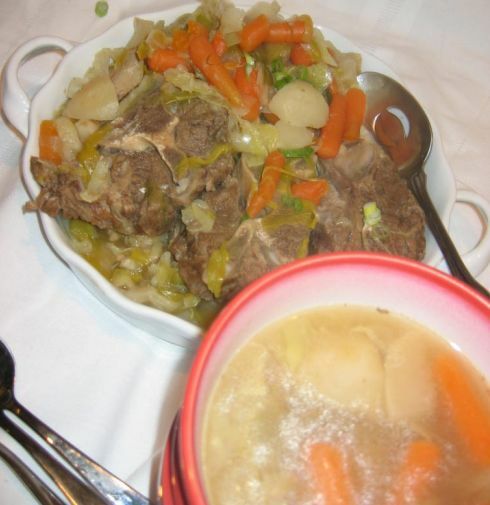 The Pot-au feu is actually a full meal! At the table, diners start with a bowl of the concentrated broth accompanied by marrow spread on slices of toasted baguette, then salted. A second course consists of the different meats and vegetables arranged on a large platter, and served as the main course with mayonnaise, mustard, and horseradish. 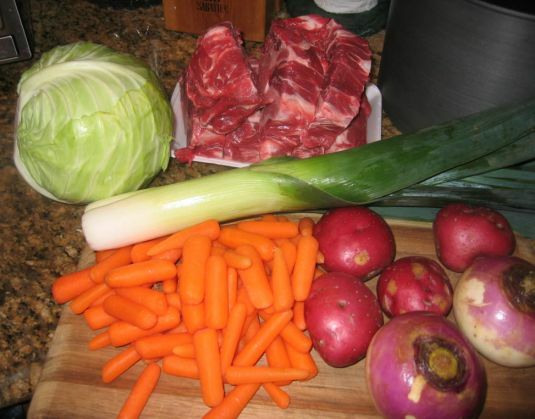 of course my pot-au-feu is a lot simpler, I only use one kind of meat but it is as good but just simpler. Gathering all the vegetables for the pot-au-feu. I have carrots, turnips, potatoes, leeks, and cabbage. 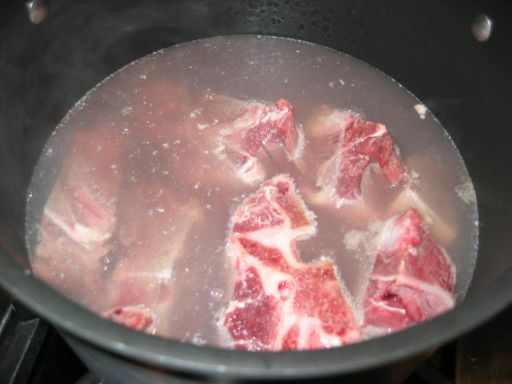 Here I am boiling the beef neck bones. Once the broth is boiled I poured the whole thing to basically get rid of the impurities. 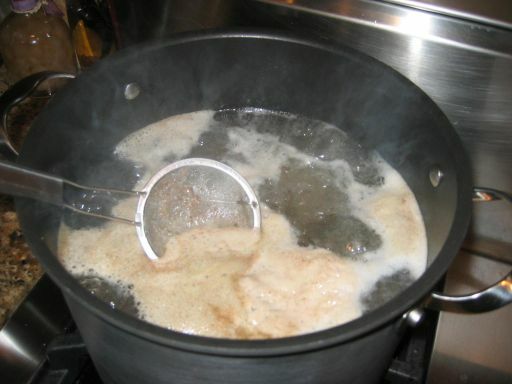 Next, I re- filled the pot with water again and put it to boil and then again I am scooping out all the impurites. 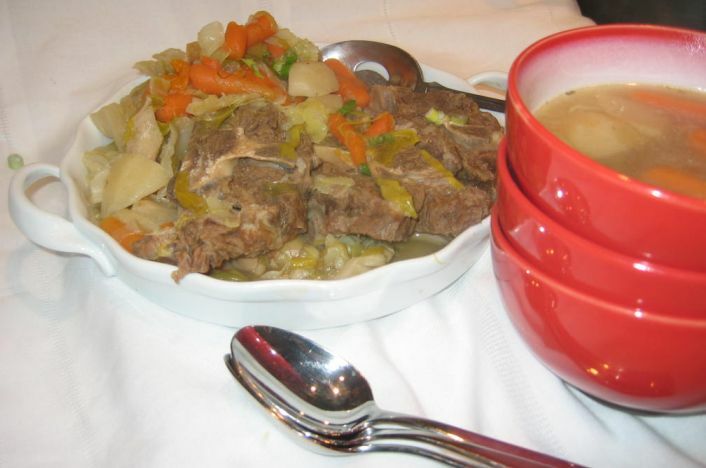 The pot is left on the stove for about 1hour or so until the beef is well cooked and soft. 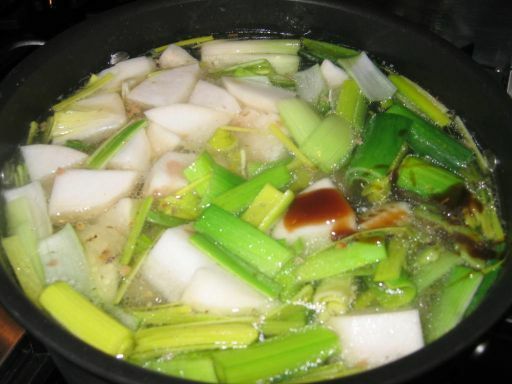 Next the vegetables are added to the pot. 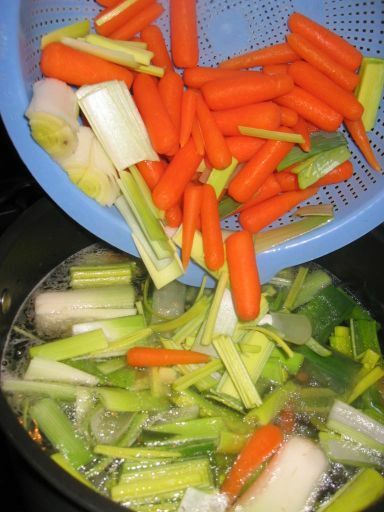 The secret to a perfect, clear, highly flavored broth is never letting it boil; it should only bubble at a bare simmer. 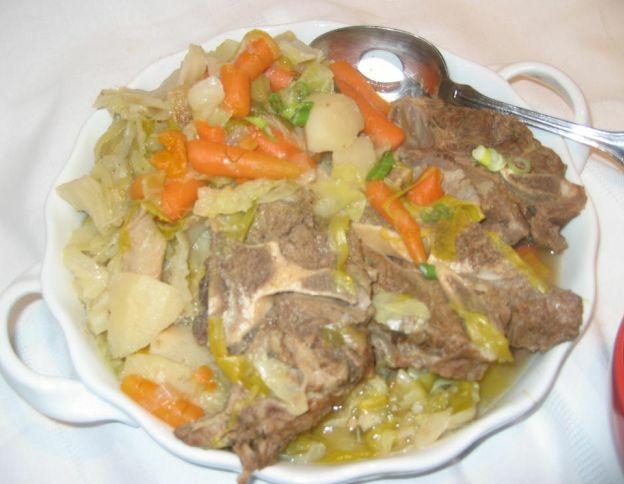 The vegetables are left in the pot in a simmer for about 30 minutes and then it is ready to be served.